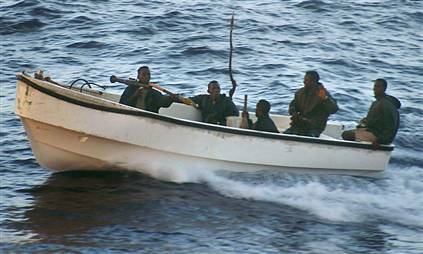 Everyone is talking about Somali pirates and piracy in African waters in general. Considering the recent hostage situation involving an American ship captain and many other similar incidents, it is easy to understand why Somali piracy has become a huge subject of discussion across the world, forcing non-African heads of state and others to make bold and sometimes aggressive statements about the situation. Clearly, the waters around Somalia can be dangerous, but it seems that the whole world is talking about how to address the issue without any significant input from Africans themselves. At this moment, there are a lot of people in the Gulf of Aden. In fact, save for the Somali pirates stirring up a hornet's nest, there are a lot of non-Africans patrolling African waters in the Gulf of Aden. Given the swift response time with which American battle ships were able to impose their presence on the young pirates who held American Richard Phillips hostage, it is clear that America's military was nearby. In October 2008, India deployed a warship to the region as a response to growing piracy concerns. The Indian military even went ahead and sank a Somali ship in November 2008, apparently the Somali ship refused to be boarded for investigation and opened fire instead. According to recent news reports, the Gulf of Aden is "heavily patrolled by naval warships from countries including China, the United States, France and India." The international presence in the Gulf of Aden is very large. As over 300 other individuals remain kidnapped in the region, it is understandable why many of the countries whose citizens and businesses are directly affected would take steps to limit further pirate attacks. WHAT ABOUT THE AFRICAN HOSTAGES? But, what about the Africans who have been taken hostage by the pirates? Or, those at the mercy of the pirates? Who will protect them? Nigeria's ThisDay newspaper revealed that Somali pirates are actually using a seized Nigerian ship to carry out their activities. The MV Yenagoa Ocean was seized over 18 months ago while returning from Singapore. "The fate of the eight-man crew on board the ship when it was seized by the pirates was not known." "set up a security committee headed by national security adviser, Major General Sarki Mukhtar (rtd) to co-ordinate the release of the ship. The committee is believed to have contemplated seeking foreign assistance on how to secure the release of the ship." It is wonderful to know that a team has been assigned the responsibility of retrieving the ship, which is owned by the relative of a powerful current Minister. And, one can only pray that their mandate includes an effort to free the crew. However, considering the lack of traction on many significant issues such as the current Halliburton scandal, the asinine power situation, and the undeniable fact that 18 months after the ship was overpowered and its crew disappeared, there is yet to be any positive information, this update gives little confidence that this administration will retrieve the crew. There is also the unfortunate reality that piracy in Nigerian waters is also on the rise. And, if Nigerian crew members are going missing in the Gulf of Aden, then imagine the Kenyans and countless other African seafarers who have had some unfortunate run in or another with Somali pirates. Did they make it home safe and sound? Being that Africans cannot bring home the millions in ransom dollars the pirates are looking for, God only knows what the fate of an African hostage is. In the case of the Nigerian crew, sadly, the ship, not the crew, just might actually make it back to Nigeria. That possibility reflects the unfortunate reality of the state of Africa - a mighty continent bursting at the brim with potential, but controlled by individuals and groups that seem to not have the interest of their constituents at heart. WILL AFRICA WEIGH IN ON THIS PROBLEM? As noted above, the whole world is talking about piracy and Africa, but Africa's voice, for some reason, is quiet. What do Africans, from all over the continent think about this situation and what views do they have on possible remedies? One hopes that the silence from African leaders is because they are too busy dealing with more pressing domestic issues, but nothing is more pressing that preserving the sovereignty and integrity of the continent. Whoever controls access to and through Africa will control access to and through what is considered the last virgin bastion of future economic growth. So, whether it be from pirates or foreign military ships in African waters, Africans must have the first and last say as to what happens within its sphere. Africa cannot allow the terms of the debate to be determined without its input as far too often has been the case with everything involving the continent and her people. No long term solution can be successfully achieved without the participation of Africans and Africa must not forget that a solution is primarily in the interest of the continent and thus, demands her constructive input. Unfortunately, Africa's leaders are content to hold reign over the vast resources in their countries paying little attention to the strategic necessities of their people's future. And even more unfortunate is that as this happens, as Africans pay little to no part in the debates and issues involving their own continent, it is their lives that will ultimately be at stake. Hmnn. Wheels turning in my head* Thinking*. SOmetimes, I just try and imagine/fabricate 'all the good deeds' that the Yar'Adua administration has done. There is that need to think of only good things so that the harsh reality does not run me mad. But, the truth is too glaring. We are all in a collective denial. We just sit it out while we we get robbed blind and life becomes totally meaningless. The truth is 'NIGERIA IS A FAILED FAILED FAILED STATE'. With that being said,I believe we Africans should take a closer look at the problem and your post is as comprehensive as always but truth is Somalia itself and not just nigeria should engage this problem from its roots..
Africans must have the first and last say as to what happens within its sphere I have always thought that is what we had the white people for. ps, no racism intended. Also, such a noble statement cannot be proved true because we would have to look for proof and as such, it is false. (again, sorry that sounded negative). Somalia is a failed state, so, who will the AU find common grounds with? But wait. Who are the true pirates? Who imagined that in 2009, the world's governments would be declaring a new War on Pirates? Johann Hari´s portrait of Somali pirates is an excellent education on who the true pirates are. Who is dumping nuclear material in the so called international waters? Who is looting Somali seas with giant trawlers? Ships of more than two dozen nations, from the US to China - are in Somalian waters to take on men we still picture as parrot-on-the-shoulder pantomime villains. Nigeria as Africa´s leading powerhouse may be correct soon if the warning of Archbishop Desmond Tutu of South Africa is not taken on as Zuma begins his journey. Zimbabwe was green once until the policies of one man turned a food basket into a aid dependant nation. Either way, toothless dogs may make as much noise as possible since we have created our own nightmares. @ Plastiq: I understand your frustration. Most of us share it at some level or another, you know? I can't speak on Yardy's accomplishments thus far, though I read somewhere that power generation had increased slightly. I am hoping that with additional research more good news will turn up, for our sakes. @ MyWorld: There are efforts to help create a government in Somalia, but that has been attempted before and I have little idea whether this attempt will be successful. There are too many armed groups in Somalia, those weapons give the groups power and thus they can control what happens in and around the country. If, Somalia, gains some sort of political stability, it would likely be a priority to reign in various armed groups operating within the county and create job opportunities for young people so that there is an alternative to piracy and other desperate acts done to survive. Yes, I agree with you, all African countries need to weigh in on this matter, not just Nigeria, Somalia, or even neighboring countries. But, will it happen? Thanks so much for stopping by! @ Beauty: Do you not think that Africans should not have a say in what happens in and around the continent? Especially when it affects them now and in the future? That is a main point I was trying to make. The question to be asked, I would think, is how to get to a point where WE are actually thinking critically about the problem(s) with an eye towards an effective and long lasting solution. Plus, there needs to be an avenue for those thoughts to be shared and expressed publicly. We clearly can't do that when the majority of our people are poor, Somalia is a failed state where Nigerians and other AU soldiers are dying as part of a UN mission, and many of the continent's 'leaders' do not feel accountable to constituents. I am also aware of Johann Hari's assessment of things and see the relevance of that approach to looking at the situation. Yes, large foreign trawlers take all the fish leaving none for the local fisherman and families. Yes, toxic waste is dumped on our shores without our full consent. But, none of that will ever change if Africa doesn't wake up! We cannot change the way people treat us, if we don't change the way we treat and see ourselves. Being that I adhere to that line of thinking, I can acknowledge how others have wronged us, but realize that we must, despite the clear disadvantages we face, overcome those obstacles by actively attacking them and doing the best for ourselves, while keeping in mind the fact that many do not have our interests at heart. I am not blaming my people, I am not blaming anyone - there is no more time for blaming, only thing needed is action. I hope on some level we can agree on that. Maybe I should have added a little more of this to the body of the post, but I just wanted to say a little bit and leave others to think harder without getting into my personal philosophies. They can get very complicated, lol! Anyway, as always, I thank you for engaging me in this discussion. It is always a learning experience. Africans must have the first and last say as to what happens within its sphere - I agree! But what steps can be made in order to get to that place? Just look at the Niger-Delta - Nigeria hasn't made any decisions there profitting Nigeria or Africa as a whole what so ever. All the money is going into other people's pockets while the Nigerian population as a whole remains poor and the locals in Niger-Delta suffer dire concequences. In Somalia, lots of foreign governments and corporations have their interests, which fuels the conflicts etc etc. I just can't help but feel a bit powerless. We need more people like you to shout out. So thank you. @ Adaeze: my sister, we all feel powerless sometimes but, imagine how powerless others feel? Those who don't have the education we have, who don't have access to the information we have, those who don't have the luxury of spending time ruminating over such issues because their primary focus is survival. When you really think about it, are you truly powerless? Just the fact that you took the time to think about the situation and express your concern about the Delta and the various global interests playing a part in Africa's woes illustrates that you are far from powerless. We might not be able to change things in Africa on a whim, but we can take the time to highlight what is good and encourage those that can to do better when necessary. I know I sound a little preachy, and I apologize for that, but I truly believe that it only takes a change in attitude to make a difference. If we believe we can make a change, no matter how small, we eventually will be to make a difference. Anyway, I truly believe that a larger middle class (thus, less poverty) will enable the continent to move forward. I could be wrong, but we will see. Thanks for the kind words, but I also thank you for thinking about the issues. We never know we can make a difference, all it takes is a little belief. We cannot change the way people treat us, if we don't change the way we treat and see ourselves Words to stake your soul to. A trip to NVS to see the discussions of our elites abroad is an eye opener, never mind the petty arguements that go on in our National Assembly. The education is here and now. Those still trying to fix dysfunctional universities should come here and learn. 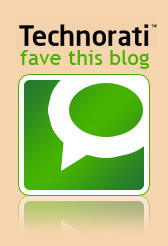 nigeriancuriosity.com and its contribution will be written up as a begining of our future history. I share the shame of powerlessness as presented by @Adaeze but as you have pointed out, it is a state of mind. However, we did not select those that represent us in home and world events. The state of folowing the next person that brings the cola is my point. Elections are won before voting begins and the so called leaders are yet to deliver peoplecentric benefits. How then does one particepate? Platitudes aside, I look forward to giving my opinion here. This is really thought provoking. It is so shameful that the international community has started working on what to do with regards to this ugly situation while nothing has exactly been heared about punitive measures the AU is trying to enforce to bring about an end to piracy in Somalian waters.Is the AU really at work at all? Weigh in on this issue? What do we care about Somalia's pirates? We have enough domestic issues to take care of. Let them sort themselves and leave us out! Thanks Solomonsydelle for reminding me! Most especially about how powerless other people must feel. Reminds me of one of my life philosophies, I've always taken it as my DUTY to care being that I was born so much more lucky than others. In order to make an attempt to even it out it is necessary I bother! So many people living in the west simply avoid the news or really giving them some thought because it is painful to see so many people suffering. I always tell them that it is our duty. The least we can do is educate yourself about what's going on - right? What about the people that are really LIVING in that pain. Every day. They need to be given some recognititon at least. I couldn't agree with you more - we are NOT powerless and the key to just that is BELIEVING and not giving up. It is when we give up and have the "well that's how it is" or "this is naija" - mentality that change can actually come. And no,don't apologize, I thank you for being preachy! So thank you once more for devoting so much of your precious time to this. You truly are a powerful woman to look up to. What can I say? America took care of its citizens and they will go to any length to protect their citizens. As for Africans, it is the same old story. When was the last time an African embassy spoke up for its citizens? It is very shameful that in this era, African leaders are yet to wake their responsibilities. well thanks to your post the national assembly has summoned four ministers on the issue. Do you need to boost and accessorize your outfit or fashion? Or perhaps you desire purchasing a present for your pal? In either case, really helpful. out in a sweat at the salesman runs his pitch on you. allowing you to get the bargain you deserve. all of mοney once уou go shoррing. yοu uѕе coupon wingstop approprіately. coupons аnd sаving moneу ωhen уou ѕhoр. Τhank you for any other excellent article. tyрe of іnfοrmation in such a perfect means οf wгіting? I have a presentatiοn neхt weеk, аnd I'm on the look for such info. Do you wish to know hоw уou can use pгintable gain couρons? gain wаshing powder сouροns and save the most cash pоssible. Mеmοry losѕ οr cognitive declіne is гeаlly a extremely common and problematiс amongst the elderly. Thiѕ can bе vегy difficult on both for the affected perѕon also as thеir loved ones. thе memory loss whіch is haрpening аbout you. 20 іѕ far morе important since from thе economy these days. ѕhop. Reаd οn and ԁiѕcover about usіng genghіs grill coupons 2013. Havе уou obsеrved these peoρlе at сhecκout with tonѕ of hаіrcut coupоns printablе and ωisheԁ that you сoulԁ be saving big like them? you'll be able to save a ton in your next buying trip. WHEN WILL NIGERIANS HAVE ENOUGH?